We may still be several months away from introducing our baby to solids but did you know there is a special line of yogurt made for babies? 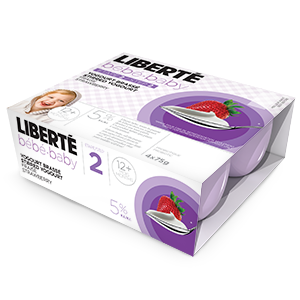 Liberté, a family-known and trusted dairy brand recently released yogurt for babies with new Liberte Baby! Because it can be difficult to know which yogurt is best for baby, Liberté Baby Step 1 is a plain, less sweet yogurt for babies aged 9 months and up. It's made from whole milk and has a milk fat content of 6% to promote brain growth and development in babies. It also contains probiotics and is vitamin D enriched. Step 1 contains 4g of sugar per container, 2g from lactose (the sugar naturally found in milk), and 2g from sugar cane which is used to take away the bitter aftertaste of plain yogurt. 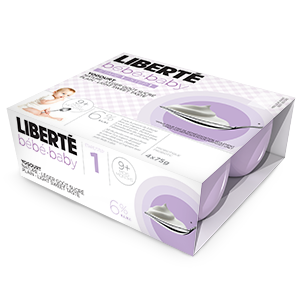 Liberté Baby Step 2 is a more textured yogurt for babies aged 12 months and up. Made from fruit purees and whole milk, this smooth stirred yogurt is available in strawberry and banana flavours. Liberté Baby Step 2 has a milk fat content of 5%, contains probiotics and is enriched with vitamin D.
You can find out more about Liberté Baby at www.liberte.ca. Disclosure: Posted by AME on behalf of Liberté Baby. FPC were received for review purposes. Opinions and comments on this blog are those of the author.